Though HBO hasn’t renewed Game of Thrones yet, it seems like they’re planning for at least seasons five and six. 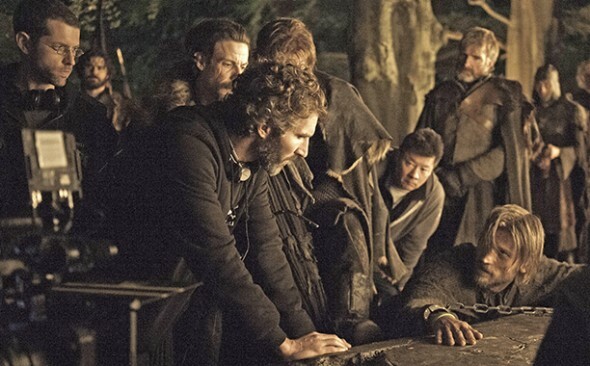 According to EW, the cable channel has made a deal with showrunners David Benioff and Dan Weiss to stay with the very popular series for two more years. Producers recently said that they suspect that the show will end with seven seasons. Game of Thrones returns for its fourth season on April 6th on HBO. What do you think? How long would you like to see Game of Thrones run? How do you watch episodes — “live,” on-demand, via the HBO Go app, on DVD, or pirated? Season 4 has started to air in South Africa. This, is about the most gripping season to date, not taking anything away from the 3 previous seasons, but season 4 has so many twists, you simply cannot wait for the next episode. congrats to the writers …. fantastic job. 10 episodes to a season? come now, this is madness, we need more episodes, but then, something is better than nothing.